As my project at work draws to an end soon. We have a few farewells over the next month. This is a card I made with really large roses to fill up an A4 size space. I decided to make a frame and the name out of glitter cardstock. The flowers were all inked with Altenew inks. 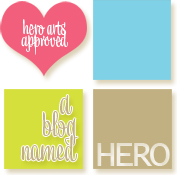 I'm adding this to Simon Says Stamp Wednesday Challenge - Anything Goes and Less is More's Stamp Layering challenge. Gorgeous floral colours, and I love the little additions of glitter from your frame and name. I have to say well done for completing an A4 card, being a CAS designer I really struggle when someone asks for A5! This is beautiful! 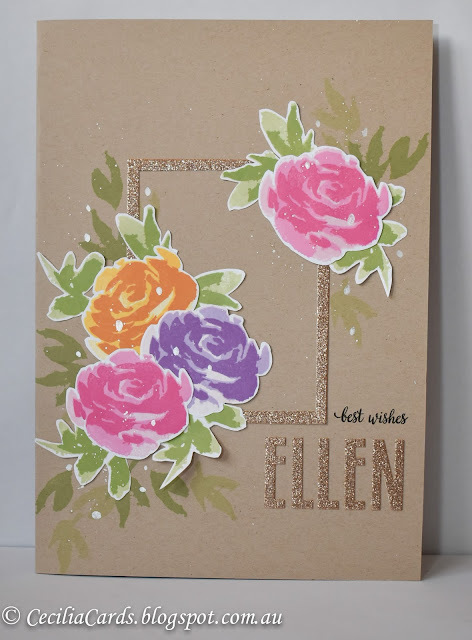 The roses really pop from the kraft base and your use of glitter paper adds a lot of interest and contrast. The recipient will love the personal touch of adding her name to the card! Thanks for joining us at Less Is More! Beautiful card with a fabulous design ! Love your addition of the glittery frame and name ! Thanks for sharing and for playing along at Less is More ! A stunning design and loving the kraft cardbase with those pops of beautiful floral beauty. 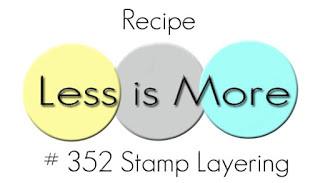 Stamp layered perfectly and Thanks for joining us at Less is More. Gorgeous card, the glitter frame is just perfect.